This purchase offers the opportunity to purchase an entitled Type 7 Cannabis Manufacturing and Type 13 Distribution facility that is eligible for both medical and recreational use. An operator may be able to begin production in as little as six months. The subject property has approved applications for: Type 7 Manufacturing - Extractions using violative solvents - Extractions using mechanical methods or nonvolatile solvents - Infusion processes - Edible products manufacturing - Packaging, re-packaging, labeling and re-labeling cannabis products Type 13 Distribution - Distributor and Self-Distribution; transportation of other businesses products and their own products. Upon completion and final inspection of the entitled build-out, a certificate of occupancy and business license will be issued. Construction and operating plans are available to be viewed to qualified parties. The city of Long Beach has already approved the subject property’s business license applications. Because this happened prior to a specific deadline, no Conditional Use Permit (CUP) will be necessary for operation under both medical and recreational capacities. The subject property consists of one parcel that measures 5,493 square feet. The site has been assessed as a 2,340 square foot warehouse, however there was a previous addition increasing the actual square footage to approximately 3,000 square feet. The warehouse, built in 1954, is secure concrete construction. Clear height is 12'. There are two roll up doors on the rear of the building allowing for ground level loading access. 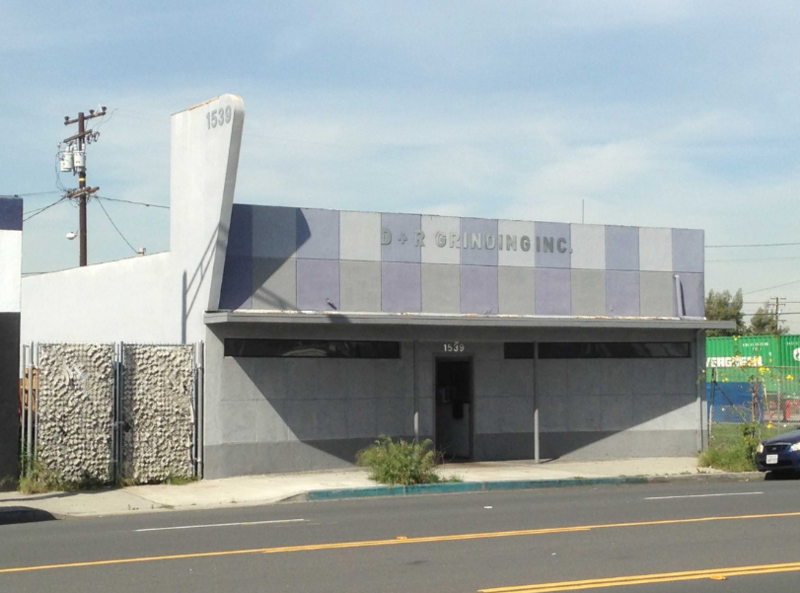 Recently, the city of Long Beach passed an ordinance allowing for adult use manufacturing requiring a conditional use permit (CUP) for any new applicants, however because this building already had an application submitted and approved for medical manufacturing, it is exempt from the CUP requirement, which will save the end user approximately 6-8 months of application time, and this application can be converted to adult use by applying for the designation through the city of Long Beach. Zoning on the site is LBIG which is a heavy industrial zoning designation that permits for many uses. Located on Santa Fe Ave between 15th and 16th Streets, the property has excellent access and is convenient to the 710 and 103 freeways, Anaheim Street, Pacific Coast Highway and the ports. -Start your buildout in 120 days, we have the team, the experience, track record and we are already doing this on other properties in the area. If you are a serious buyer we can put you on a conference call with the team to answer any questions and make sure you understand the value we bring to the table. -Property can be equipped with kitchen for producing infusing edibles and tropicals. -Property has a shared parking agreement with another parcel on the same block in order to comply with Long Beach city building code requirements of 2 parking spaces per 1000 square feet of building size. -Property has alley access and large side yard allowing for drive in loading and unloading within the fenced yard. -New owner could be up and starting build out in about 120 days. -New owner will have access to team of contractor/project manager, architect, attorney that already have multiple buildings in the area that are already in the process of being built out and further along. This can really help to expedite the process, avoid delays and mistakes since we have already done this on multiple buildings. -Power upgrade can be done in as little as 90 days. -Save MONEY, share cost with neighboring cannabis friendly business owners in the same industry.